The Mark Twain Earth and Space Science book challenges students to work together while solving real-world problems. The integrated labs encourage students to apply scientific inquiry, content knowledge, and technological design. 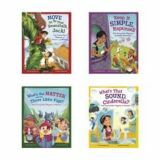 From supplemental books to classroom décor, Mark Twain Media Publishing Company specializes in providing the very best products for middle-grade and upper-grade classrooms. Designed by leading educators, the product line covers a range of subjects, including language arts, fine arts, government, history, social studies, math, science, and character. 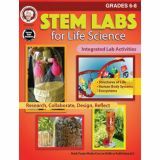 The Mark Twain Life Science book helps students develop communication skills for STEM success. This middle school life science book encourages students to collaborate and communicate to solve real-world problems. 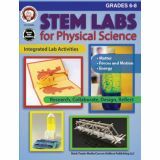 This Mark Twain Physical Science book encourages your students to collaborate while solving real-world science problems. This physical science book correlates to current state standards. Mark Twain Media Publishing Company creates products to support success in science, math, language arts, fine arts, history, social studies, government, and character. Designed by educators for educators, the Mark Twain Publishing product line specializes in providing excellent supplemental books and content-rich décor for middle-grade and upper-grade classrooms. Develop your first grade students' creative problem-solving skills with STEM Lessons and Challenges. Students apply science, technology, engineering, and math concepts to solve real-world problems. Every grade 1 unit is focused on a hands-on challenge and guides students to work together as engineers to design, prototype, test, and refine their creations. 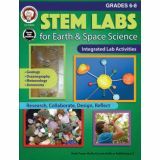 The 15 grade-appropriate STEM challenges target life, Earth, and physical science concepts. Every unit is focused on a hands-on challenge in which students apply the STEM process of plan, create, test, and redesign. No-prep lessons and easy-to-find materials help you fit STEM learning into the busy school day. Teacher overview pages—Tips and directions for preparing students to complete a STEM challenge, as well as a materials list that suggests readily available items to gather. Reading selections for background knowledge—Foundational information that is relevant to the challenge that students are completing. Visual real-world examples—A visual literacy page with real-world images relevant to the STEM challenge. 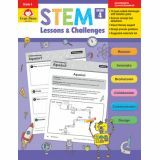 A STEM challenge overview—Introduces the specific task and goal of each STEM challenge and provides space for students to brainstorm. Design process worksheets—Activities guide students to plan, create, test, and evaluate their creation. A redesign page to evaluate their design—The worksheet guides students through each step of the design process and provides space to document plans, materials, results, evaluations, and revisions. Science topics within each unit support grade 1 Next Generation Science Standards (NGSS) and teach the STEM process. An answer key is not included, since there isn't one correct answer or solution to solve the problem or complete the challenge. STEM Lessons and Challenges fosters students' critical thinking, innovation, communication, and peer collaboration! Develop your second grade students' creative problem-solving skills with STEM Lessons and Challenges. Students apply science, technology, engineering, and math concepts to solve real-world problems. Every grade 2 unit is focused on a hands-on challenge and guides students to work together as engineers to design, prototype, test, and refine their creations. Science topics within each unit support Next Generation Science Standards (NGSS) and teach the STEM process. An answer key is not included, since there isn't one correct answer or solution to solve the problem or complete the challenge. Develop your third grade students' creative problem-solving skills with STEM Lessons and Challenges. Students apply science, technology, engineering, and math concepts to solve real-world problems. Every grade 3 unit is focused on a hands-on challenge and guides students to work together as engineers to design, prototype, test, and refine their creations. 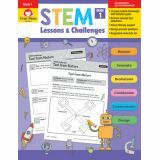 Develop your fourth grade students' creative problem-solving skills with STEM Lessons and Challenges. Students apply science, technology, engineering, and math concepts to solve real-world problems. Every grade 4 unit is focused on a hands-on challenge and guides students to work together as engineers to design, prototype, test, and refine their creations. Develop your fifth grade students' creative problem-solving skills with STEM Lessons and Challenges. Students apply science, technology, engineering, and math concepts to solve real-world problems. Every grade 5 unit is focused on a hands-on challenge and guides students to work together as engineers to design, prototype, test, and refine their creations. 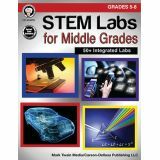 Develop your sixth grade students' creative problem-solving skills with STEM Lessons and Challenges. Students apply science, technology, engineering, and math concepts to solve real-world problems. Every grade 6 unit is focused on a hands-on challenge and guides students to work together as engineers to design, prototype, test, and refine their creations. Most early childhood teachers are using learning centers in the classroom, but do not approach them in ways that fully support a variety of learning opportunities. 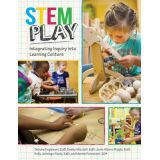 This book approaches learning centers through the STEM (science, technology, engineering, math) lens, and shares how themes can be integrated into centers to promote creativity and higher-level thinking. STEM Play provides varied activities for the most common centers: Art, blocks, dramatic play, literacy, math, science, music and movement. Full of beautiful, full-color photos that show the activities in real early childhood classrooms, teachers can easily use the book's ideas immediately in their curriculum. STEM Play also includes a “How To” section for teachers who wish to expand on the STEM focus and use themed activities in their learning centers.